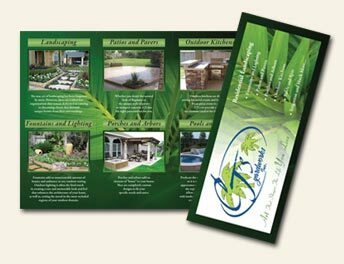 Brochures are one of the most versitile advertising mediums for displaying your brand's message. 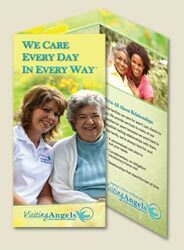 An excellent option for small businesses on a budget, use these brochures to spread word of your products or services. 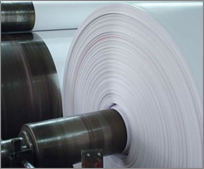 We utilize an eco-friendly brochure printing process with soy-base inks and solvents which emit less volatile organic compounds (VOC) during our green printing process. 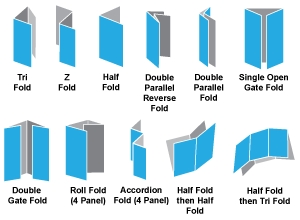 Pricing varies based on order method, paper type, fold, etc. Thicker paper w/ semi-gloss water-based coating. Extra-thick card stock w/ semi-gloss coating. Thinner letterhead-style paper w/o coating. Thinner paper w/ semi-gloss water-based coating. Extra-thick card stock 40% pre- & post-consumer recycled w/ matte finish. Thinner 40% pre- & post-consumer recycled w/ matte finish.  80lb. Gloss Book: Additional 4 business days.  100lb. Gloss Cover: Additional 4 business days.  70lb. Opaque Smooth White: Additional 2 business days.  Recycled Paper: Additional 3 business days.  Quantity Over 50K: additional printing day per 10k.